Is Salvia Divinorum Legal In Your State? Find Out Here! Before you decide to purchase, use, grow, distribute, possess or ship salvia divinorum in whole or part, we recommend quite strongly that you review the current laws or penalties in your location. 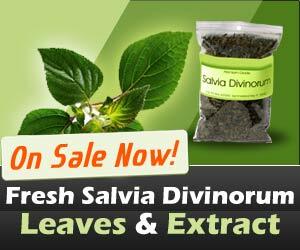 We believe the following to be current, but it is in your best interest to be certain, before trying to buy salvia. We know that some cities have different laws than the state, so please be very cautious. See which other Countries have made Salvia illegal here. There are cities within the United States who prohibit its sale and possession and several other states are considering bans. Also, the DEA is currently studying it and are trying to determine if it is a risk to the public. If it is determined that Salvia is a risk, it will probably become a controlled substance. You may want to check out the wikipedia page on the topic, or like we said above, look into your state or county law and see if it is legal.